So guess who else has jumped on the bandwagon of producing top notch racing bicycles? If someone whispered Museeuw, you're right on the dot. The "Lion of Flanders" and two time world champion decided to put his experience to business and kicked up an idea to start his own bicycle company. I'm not exactly sure when it was started but we saw the first fruits of his production early last year through his website. The more interesting fact has been that Museeuw has started a small revolution in bicycle frame materials. In this day and age where the industry is continuing to push all barriers like a rebellious bulldozer on a rampage, and where innovate or die is the chant, Museeuw is no exception to the idea. 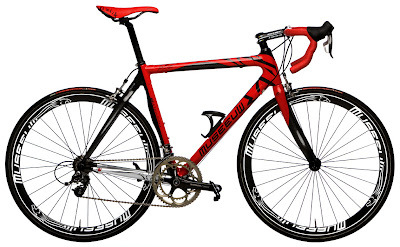 Enlisting the help of Belgian firm IPA (which also makes carbon tubes for Colnago) and historically renowned Italian frame maker Billato, Museeuw's top of the line bicycle, the MF-1, comes out to be an interesting design. The frame uses a medley of carbon fiber and flax fiber, the strands of which are somehow sandwiched between the weave of the ultra high modulus CF fibers by a special manufacturing procedure. Check out this video on the manufacturing behind it. Flax is one of the oldest crops known to man. It is of two types : Oilseed (Flaxseed) and Fiber (a type of bast fiber). Examples of such crops include Lignum usitatissimum (common flax), L. usitatissimum album (white-flowered flax), and L. usitatissimum vulare (blue-flowered flax). The high quality fibers of flax are from the stem of the plant and are in the phloem or bast, hence the reference to flax as a “bast fiber” crop. For a microscopic material discussion of the fiber, click here. Both (seed and fiber) have various uses, from food for livestock, making linseed oil (used in paints and coatings in industries), flaxseed oil (you must have seen those gel tablets in pharmacies, high in omega 3 and 6 content), food items (flax fiber containing cereals have omega 3 content believed to be a laxative), paper industry, to surprisingly, even as reinforcing in plastics, composite products and lightweight concrete. Previously, wood flour was being used as reinforcement in plastics for interiors in vehicles. But the better properties and cost effectiveness of plant based fibers have replaced short wood fibers. 1. Its organic, hygeinic and eco friendly. 3. Sound dampening at lower cost and density than glass or mineral fillings. 4. Durable and moisture resistant. 5. 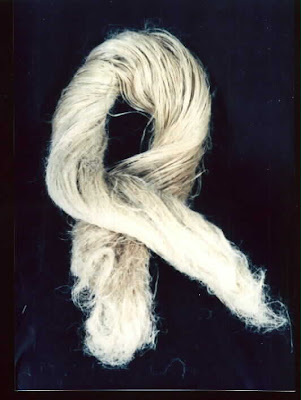 Natural fibers have specific gravities of 1.25-1.50 g/cc, versus 2.6 g/cc for glass. This gives them a better strength to weight ratio for reinforcing plastics. 6. Excellent impact strength from better bonding procedures. Following the ideas from the automotive sector, the bicycle industry has been quick to adopt this idea. By using the twill composite hybrid sandwich technique, Museeuw frames can be made with a combination of fiber and carbon composite that supposedly gives it a plush ride, without losing any stiffness. Move on to part 2 to see how the bicycle is made. I followed from Bicycle Design link. Very good presentation here about bio-composite. How expensive is it?